Count the number of signals to determine how many distinct proton environments are in the molecule (neglecting, for the time being, the possibility of overlapping signals). Use chemical shift tables or charts to correlate chemical shifts with possible structural environments. Determine the relative area of each signal, as compared with the area of other signals, as an indication of the relative number of protons producing the signal. Interpret the splitting pattern for each signal to determine how many hydrogen atoms are present on carbon atoms adjacent to those producing the signal and sketch possible molecular fragments. Join the fragments to make a molecule in a fashion that is consistent with the data. let’s interpret the 1H NMR spectrum for a compound with the molecular formula C3H7Br. Next, we measure (or estimate) the step heights of the integral curves and reduce them to whole number ratios. Doing so, we find that the ratio is 2 : 2 : 3 (from the most downfield to the most upfield signal). Given a molecular formula that contains seven hydrogen atoms, we infer that these signals likely arise from two CH2 groups and one CH3 group, respectively. One of the CH2 groups must bear the bromine. (Although you almost certainly know the structure of the compound at this point, let’s continue with the analysis.) At this point we can begin to sketch molecular fragments, if we wish. Next we evaluate the multiplicity of the signals. The signal at δ 3.4 is a triplet, indicating that there are two hydrogen atoms on the adjacent carbon. Since this signal is downfield and has an integral value that suggests two hydrogens, we conclude that this signal is from the CH2Br group, and that it is next to a CH2 group. The signal at δ 1.8 is a sextet, indicating five hydrogen atoms on adjacent carbons. The presence of five neighboring hydrogen atoms (n=5, producing six peaks) is consistent with a CH2 group on one side and a CH3 group on the other. Lastly, the signal at δ 1.1 is a triplet, indicating two adjacent hydrogen atoms. Joining these molecular pieces together on paper or in our mind gives us BrCH2CH2CH3 for the structural formula. We have been careful in the above analysis to evaluate each aspect of the data (chemical shift, integration, and signal splitting). 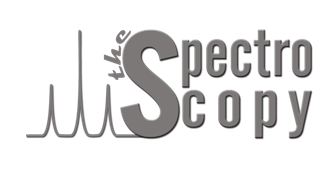 As you gain more skill at interpreting NMR data, you may find that just a portion of the data is sufficient to determine a compound’s identity. At other times, however, you will find that more data are necessary than solely a 1H NMR spectrum. Combined analysis of 13C NMR, IR, and other information may be needed, for example. In the above case, knowing the molecular formula, conceiving of the possible isomers, and comparing these with the number of signals (i.e., distinct hydrogen environments) would have been enough by itself to come to the conclusion that the compound is 1-bromopropane. Nevertheless, when working a problem one should still check the final conclusion by verifying the consistency of all data with the proposed structure. What compound with molecular formula C3H6Cl2 is consistent with the 1H NMR spectrum shown in Figure below? Interpret the data by assigning each aspect of the spectrum to the structure you propose. The spectrum shown in Figure above shows only one signal (therefore its integral is irrelevant and not shown). This must mean that the six hydrogen atoms in the formula C3H6Cl2 all exist in the same magnetic environment. The presence of two equivalent methyl groups is a likely scenario for six equivalent hydrogen atoms. The only way to have two identical methyl groups with the formula C3H6Cl2 is for both chlorine atoms to be bonded at C2 resulting in the structure shown to the right.